I’m Professor and Vice Chair of English at Washington State University. I teach undergraduate and graduate courses in nineteenth- and early twentieth-century American literature, women writers, naturalism, regionalism, modernism, and realism. 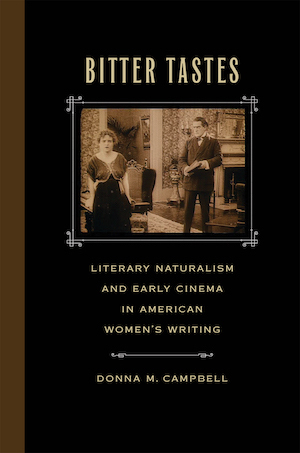 My book Bitter Tastes: Literary Naturalism and Early Cinema in American Women’s Writing was published by the University of Georgia Press in September 2016. I am the associate editor of the Complete Works of Edith Wharton (under contract at Oxford University Press) and the volume editor for The House of Mirth. I am the incoming editor of Stephen Crane Studies. Before coming to WSU in 2004, I was an associate professor of English at Gonzaga University, where I earned tenure and won the university’s Outstanding Scholarship award in 2000. My first book Resisting Regionalism: Gender and Naturalism in American Fiction, 1880-1915 (Ohio U P, 1997), won the Northeast Modern Language Association book prize in 1995. Publications, several of which have been reprinted, include articles in Studies in American Fiction, American Literary Realism, Studies in American Naturalism, Legacy, Resources for American Literary Study, Great Plains Quarterly, and the Norton Critical Edition of McTeague. Selected recent and forthcoming publications include “Experimental Fiction: ‘Samuel’” in Approaches to Teaching Jack London (MLA, 2015), “Edith Wharton Meets Aquaman: The Glimpses of the Moon and Imperiled Male Culture in Entourage” (Jounral of Popular Culture, 2012), “Fictionalizing Jack London: Charmian London and Rose Wilder Lane as Biographers” (Studies in American Naturalism, 2012), “Relative Truths: The Damnation of Theron Ware, Father Forbes, and the ‘Church of America'” in American Literary Realism (2012); “Literary Darwinism and the Rise of Naturalism” in The Cambridge History of the American Novel, ed. Leonard Cassuto and Clare Eby (2011); “Women and Naturalism” in The Oxford Handbook of American Naturalism, ed. Keith Newlin (2011); “At Fault: Kate Chopin’s Other Novel” in The Cambridge Companion to Kate Chopin, ed. Janet Beer (2008); “Naturalism: Turn-of-the-Century Modernism” in The Blackwell Companion to the American Novel, 1900-1950, ed. John T. Matthews (2009); and “A Forgotten Daughter of Bohemia: Gertrude Christian Fosdick’s Out of Bohemia” in Legacy (2008). 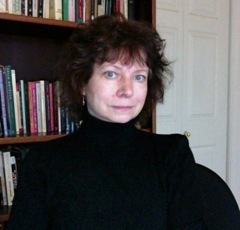 Chair of the Regional Chapters Committee of the American Studies Association from 2004-2008, I’ve served as an officer in a number of scholarly societies, including the Society for the Study of American Women Writers, and maintain several web sites. From 2000-2008 I wrote the annual “Fiction: 1900 to the 1930s” chapter for American Literary Scholarship (Duke University Press). From 2007-2010 I was the Lewis and Stella Buchanan Distinguished Associate Professor of English, and from September 2010-June 2011 I edited ESQ: A Journal of the American Renaissance. Literature. My research interests include American literature of the late 19th and early 20th centuries, with a special interest in local color or regional fiction, realism, and naturalism. My interests include the field of digital humanities, early film, and women’s middlebrow fiction of the 1920s (Edna Ferber, Rose Wilder Lane, Dorothy Canfield Fisher). Publications include work on Edith Wharton, Frank Norris, Louisa May Alcott, Mary E. Wilkins Freeman, Stephen Crane, William Dean Howells, Theodore Dreiser, Harold Frederic, Jack London, and Sarah Orne Jewett. Digital Technologies. I began teaching with technology in 1989 at Buffalo State College, when I taught literature and composition in computer classrooms equipped with Sun Microsystems DEC VT-100 emulator terminals (the ALL-IN-1 WPS-Plus with the Gold Key feature). I have taught American literature using web technology since 1997 and developed a number of exercises for increasing student engagement, including teaching students to create annotated texts for the web using Netscape Composer, the free software then available. Since then, as technology has advanced, I’ve taught students how to create web pages and wikis, and I’ve incorporated listservs, synchronous and asynchronous interactive methods of discussion (chats and discussion boards through various CMS platforms, including Blackboard, WebCT, and Angel) into my classes. Beginning in 2003, I’ve also also used weblogs, wikis, Twitter, and other technologies in my face-to-face and online classes. A central purpose in my 26 years of teaching with computer technology has been to engage students in multimodal approaches to literature and writing, thus encouraging them to find a broader audience beyond the classroom and diverse ways of creating and expressing the meaning of texts. My American literature site for scholars and students grew out of this interest. From 2012-2015 I served as an MLA Special Interest Delegate for Continuing and Distance Education.From 2016-2019 I will serve as an MLA Delegate to the Western Region. I teach an introductory literature course (LIT2000) at Florida SouthWestern State College in Naples FL. I am very interested in Naturalism and Regionalism in American literature and I am covering several of the more recognized practitioners in my class. I was wondering if you can suggest any sources that I can investigate that might help me better understand the place of Annie Proulx in these movements (specifically her short stories, for example, “Job History”).